Who doesn’t love chocolate covered strawberries? 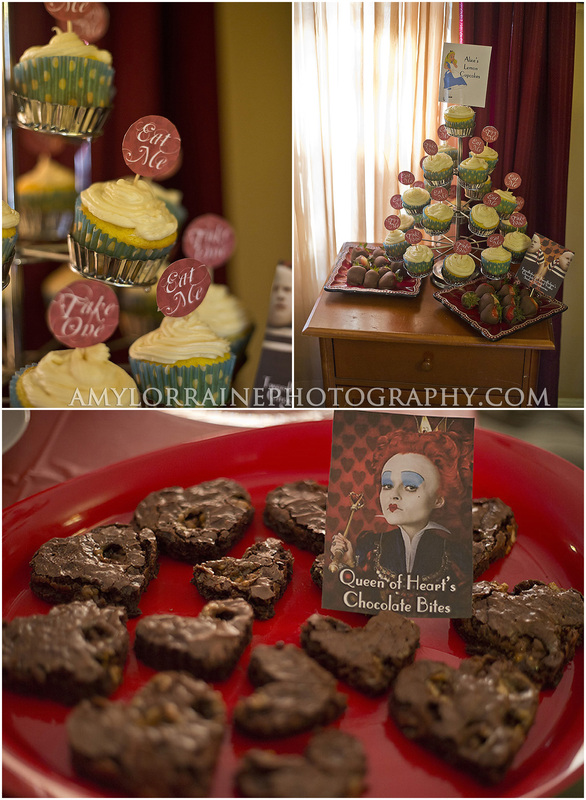 I decided to try out these soaked in vodka for the Alice in Wonderland party. Since I didn’t get the strawberries until the day before the party I put them into our Vacuum Sealer container. 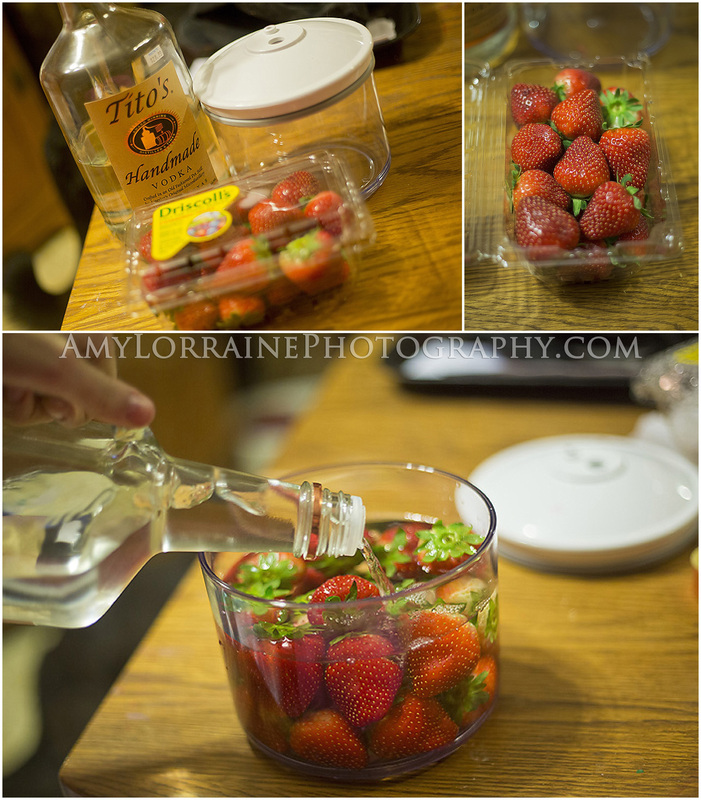 It helped marinade the vodka through the strawberries quicker and let soak over night in the refrigerator. Drain the vodka and save for later! 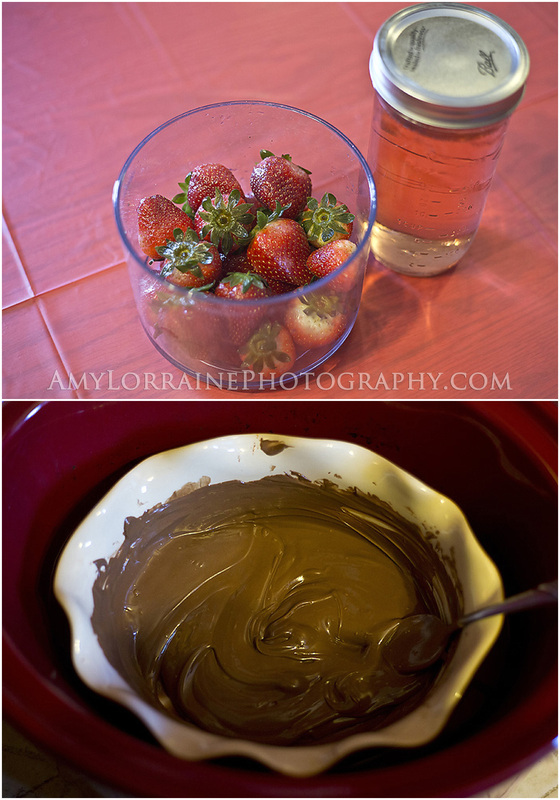 Pat dry the strawberries and then dip in the melted chocolate. I put them in the freezer until they hardened. Auction opens now through Sunday Feb 3, 2013 6pm. Kindly place your bid in the comment section of the facebook page. Serious bidders only. 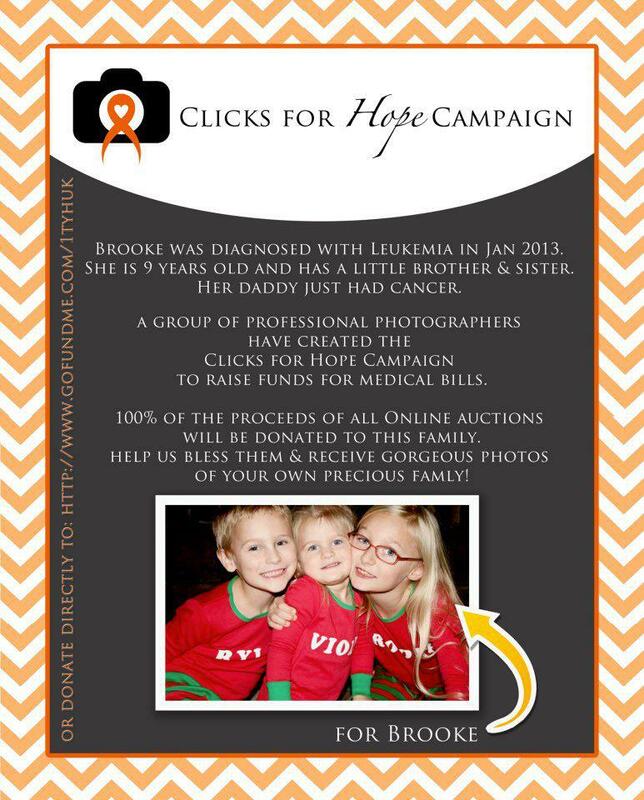 If you are a professional photographer and would like to participate in Clicks for Hope please private message me on facebook as well. 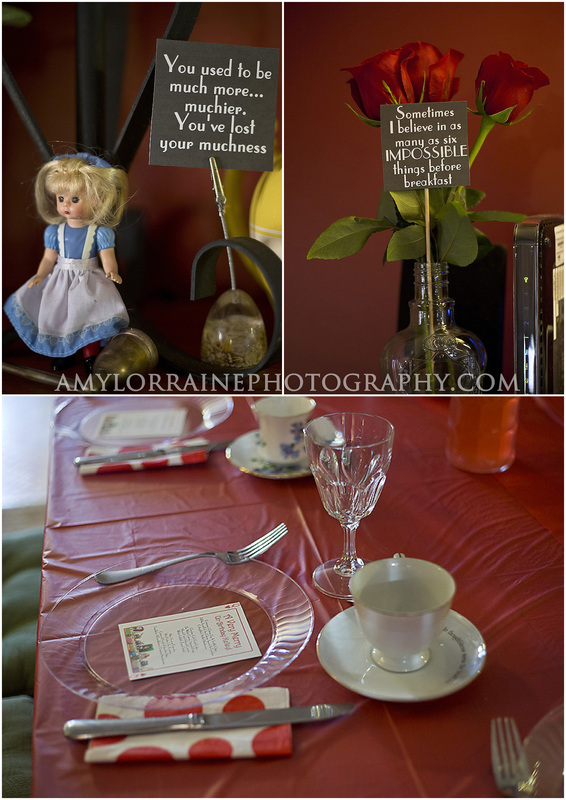 On Sunday we celebrated my future Sister-In-Law, Kelley’s birthday with an Alice in Wonderland theme! 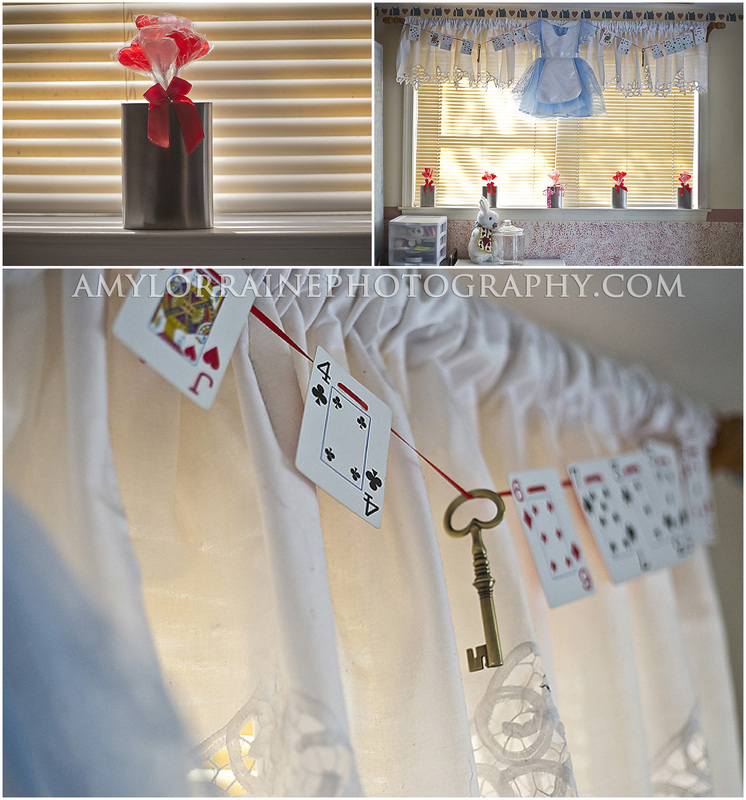 My mom turned the flask into a heart lollipop vase & I hung up the cards, dress and keys to the window. The White rabbit was next to a jar.. that was supposed to be filled with cookies…. Ooops! Even though it has recently snowed we had some flamingos stop by and the talking doorknob was a simple print out I added to the door! The mini Alice was actually from a happy meal toy I got years ago. Which I used for a school project as well. Whats a tea party with out tea cups? 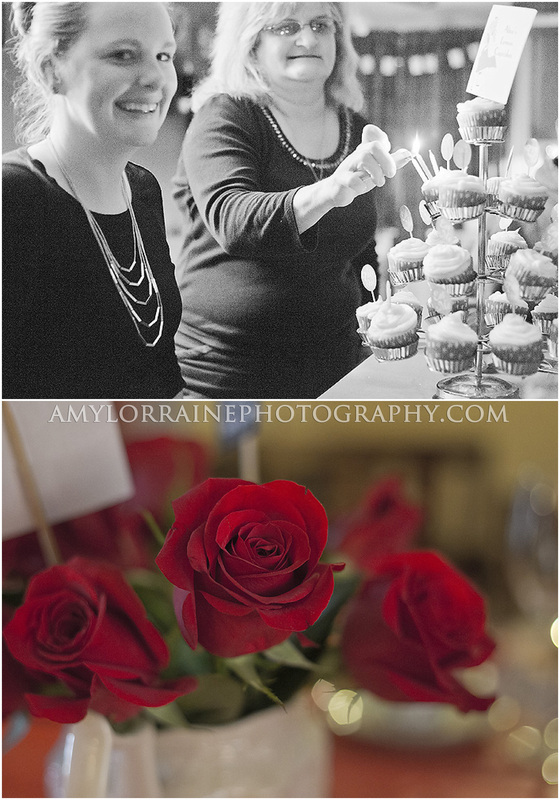 And we didn’t forget to get the Queen red roses! 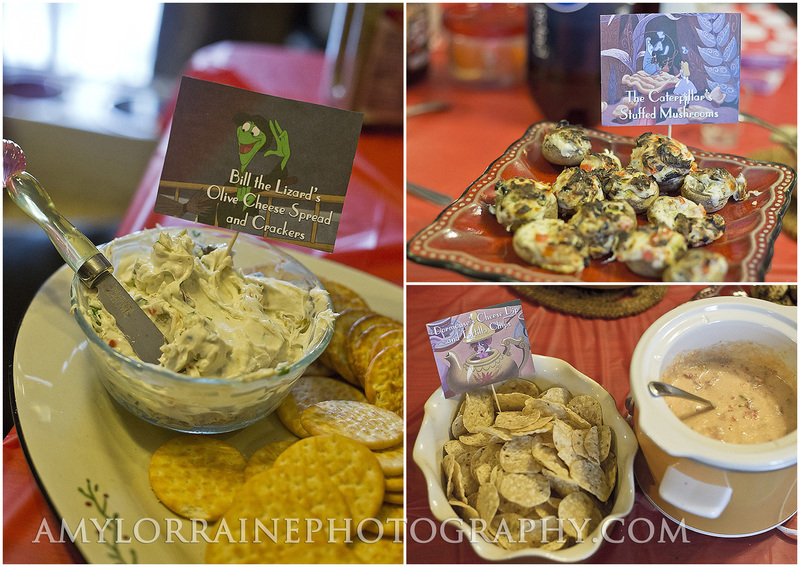 For appetizers we had Bill the Lizard’s Olive Cheese Spread and Crackers, The Caterpillar’s Stuffed Mushrooms and Dormouse’s Cheese Dip and Tortilla Chips! 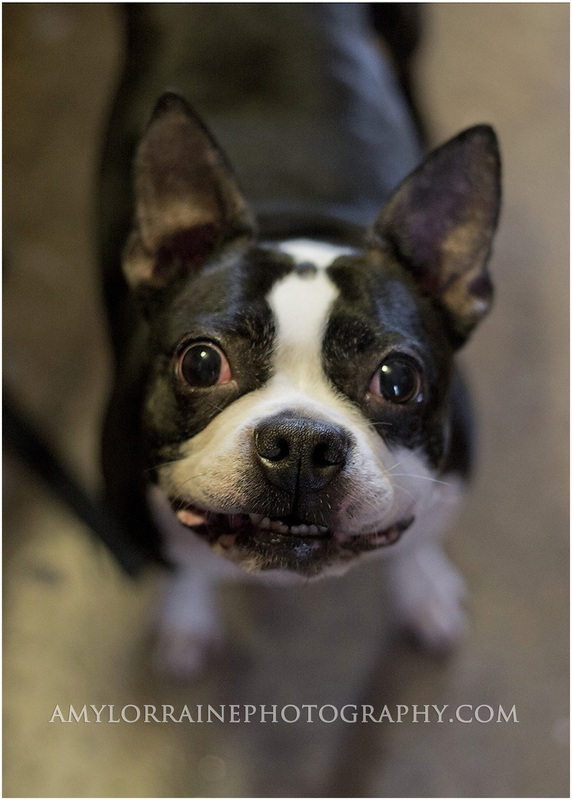 Maeby is Erik and Kelley’s baby dog.. although she had the body of a pig and snorts like one too. We love her anyway. 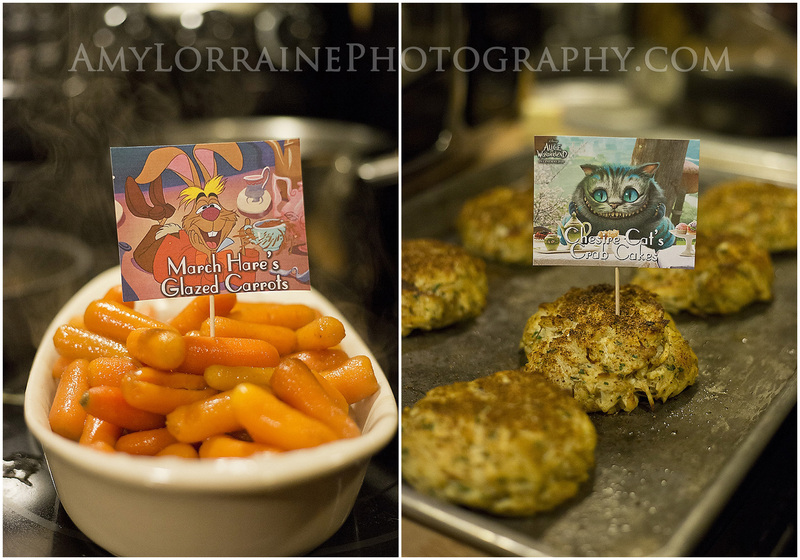 Dinner included The White Queen’s Spinach Pasta, The White Rabbit’s Tossed Salad, March Hare’s Glazed Carrots and The Cheshire Cat’s Crab Cakes! We sang happy birthday & she got to blow out her candles on a tower of cupcakes of course! Someone had a little bit too much fun. She’s quite the party animal. I can’t wait for the wedding! I got my plane tickets booked. Rhode Island here we come! You need this pep talk. If you haven’t seen this video, it is a must watch. Adorable and true. How cute is Elijah? 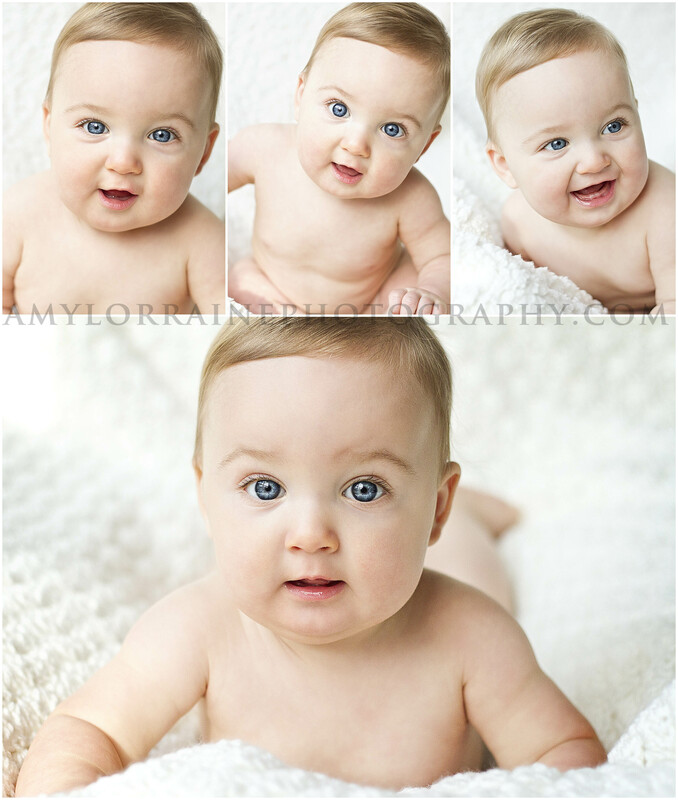 With those baby blues and such a happy personality, he was perfect to photograph! This little boy was adopted into one of the best families. 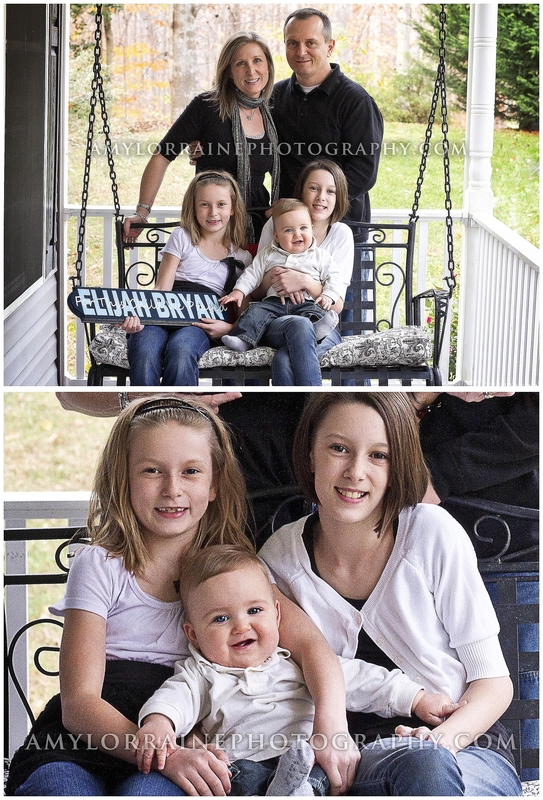 He is not only loved by his parents but he is ridiculously adored by his two big sisters. 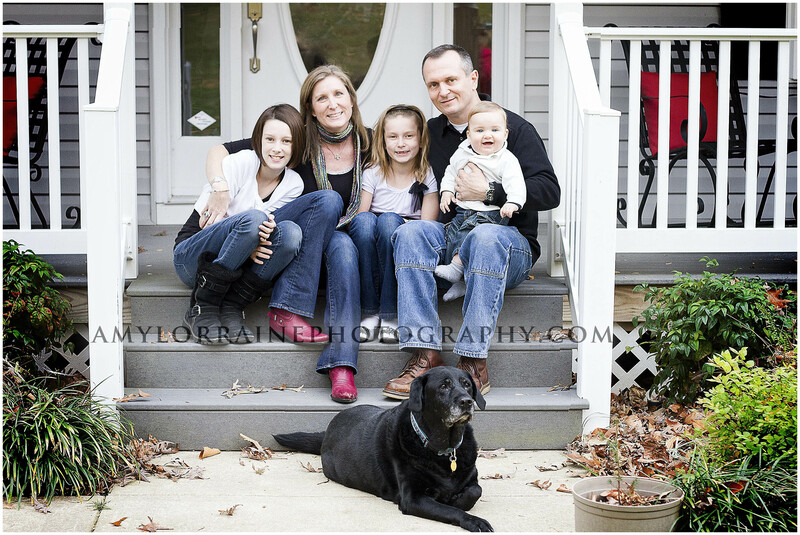 The whole family including their lovable dog, Libby! I had such a great time getting to know all! I have joined a group with some incredible photographers around the world to participate in a Monthly Quote Project. On the 15th of each month we will all be posting a quote and how we’ve translated that quote into a photograph. 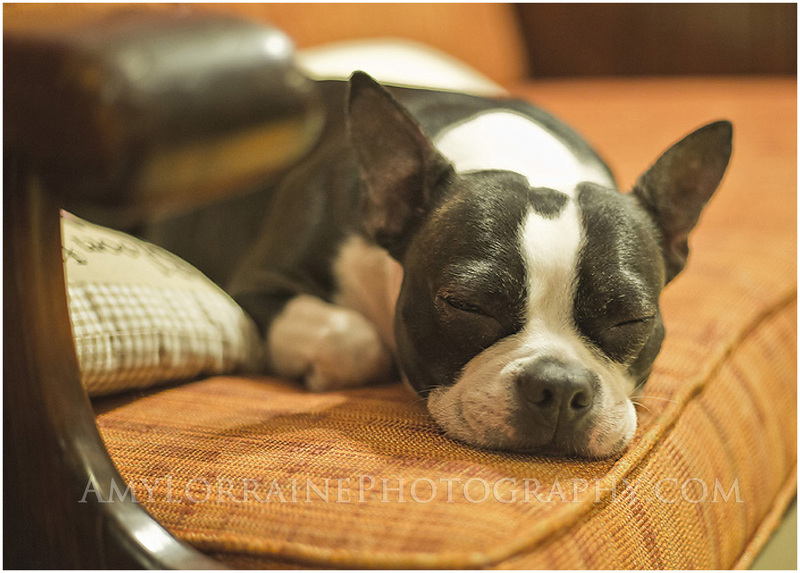 We will also include a link to a fellow photographers post and the cycle will continue. So if you’re interested in seeing how we’ve translated you can click through each blog! I am really looking forward to this. As I have become a business, I haven’t picked up a camera in a while just to go shoot for fun. This will push me to not only get out their and shoot something non-business related, but it will help with my creative flow and I’m hoping it will push me to think outside the box. 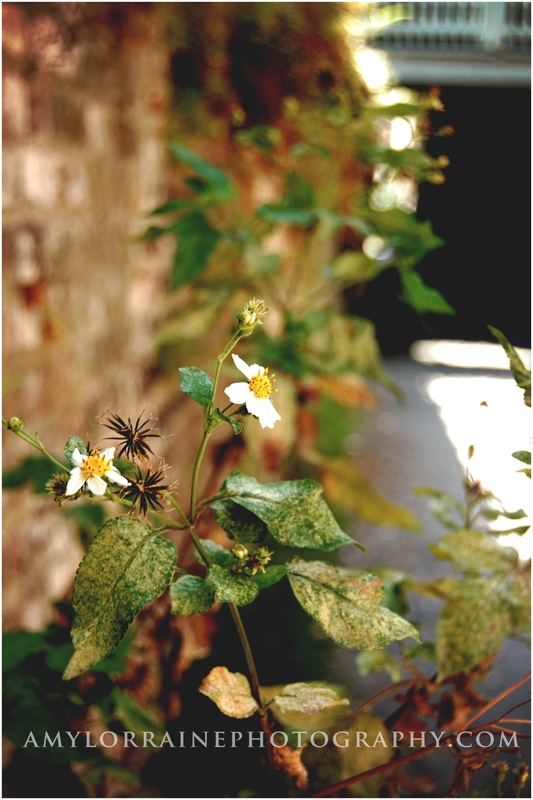 This post is dedicated to all you instagram lovers. Thursday on Instagram is known as “Throwback Thursday” where you post old photos of you and your loved ones. 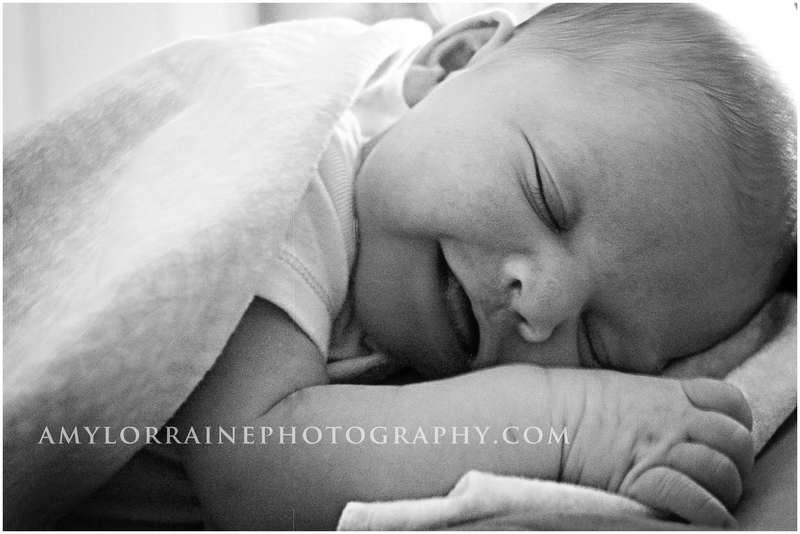 This is the first newborn I ever photographed. Adrianna is my best friend daughter and this was the first day I ever got to meet her. She is part of the reason I’m in the business that I’m in. 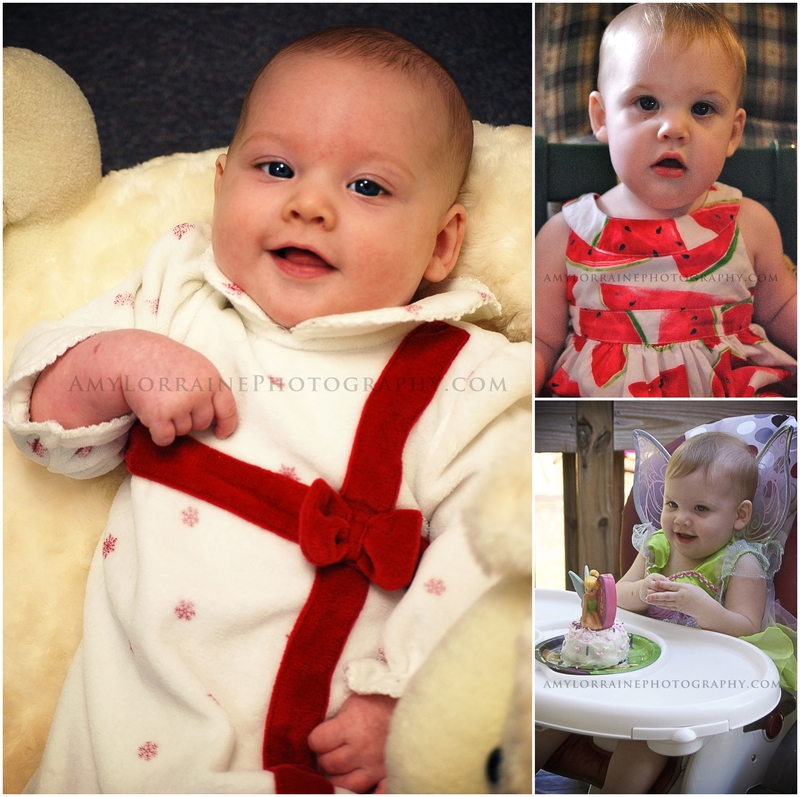 It has been amazing watching her grow up and crazy to think she’s not that tiny baby anymore. She is my favorite little nugget and quite hilarious now with her own little personality. 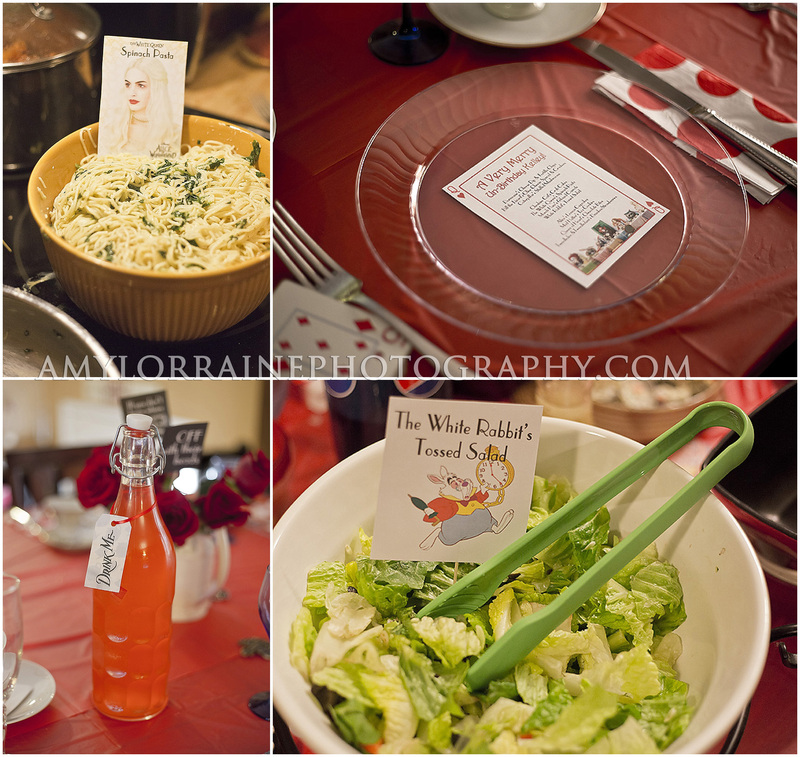 I clearly had no idea what I was doing or wanted to do over 3 years ago when it came to my niche in photography. I took these for fun when we got to spend together but I am so happy to see how much my work has progressed from the first time I started. I challenge you this New Years Day to start 2013 off with an empty jar or box and fill it with notes about good things that happen. On New Years eve, empty it and remember and reflect on what amazing things happened this year!